We try our best at 2nd Story to share the stories of the people who work hard to make our brewpub a special place. There are a lot of people to thank but today, we honor the farmer! We’re fortunate to have a close relationship with Tilted Barn Farm, a picturesque farm out in Chester County. Farmer Deb helps supply eggs for our Tilted Barn Burger, but more importantly (at least in Brewer Wible’s mind), she grows hops! 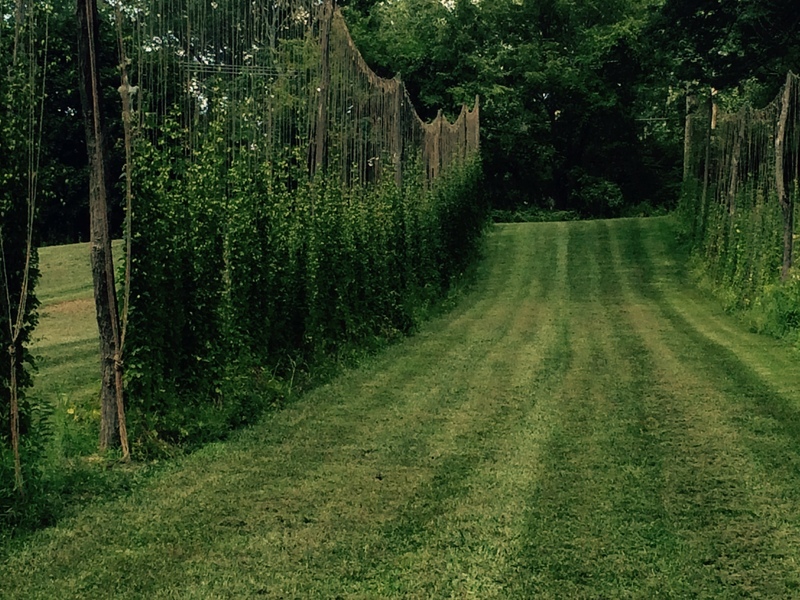 A lot of work has gone into building and maintaining an exclusive hop-yard right here in Pennsylvania for our brewer to use. 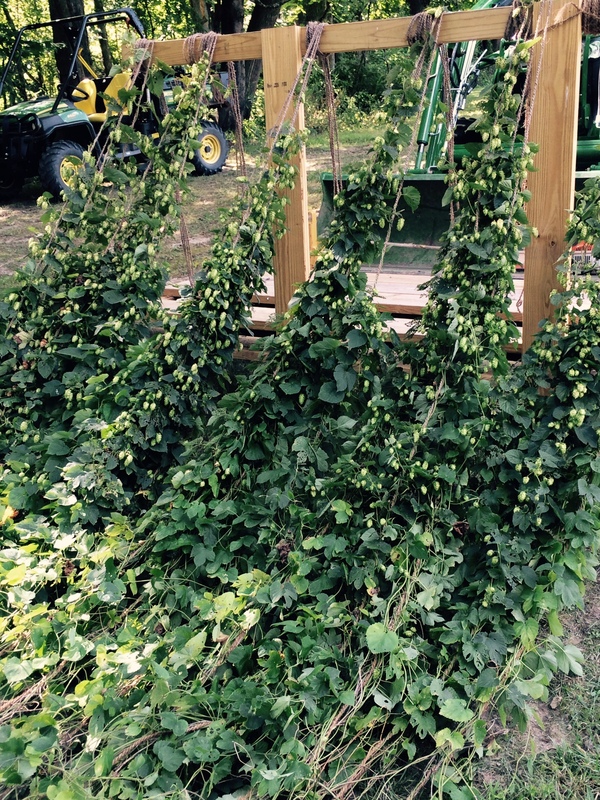 Not many people are growing hops here on the East Coast so we’re thankful to have an ambitious farmer dedicate her time and land to it! 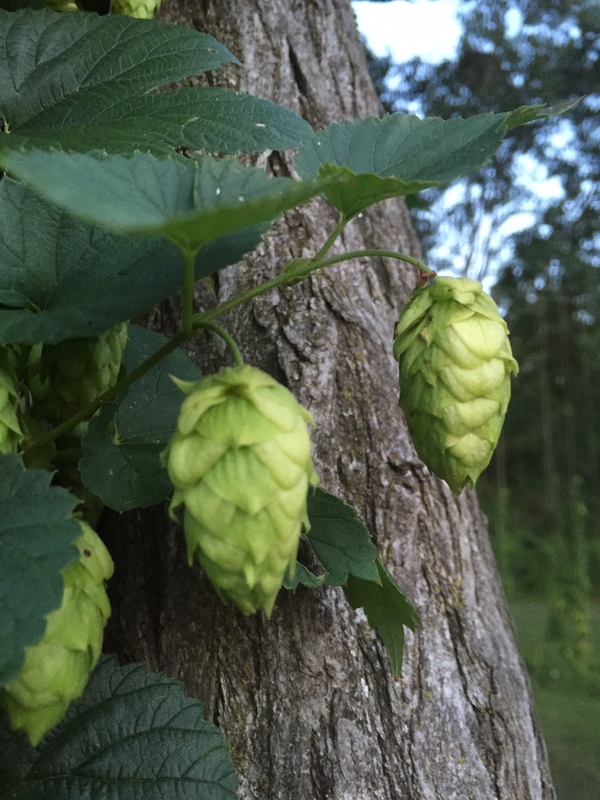 After much research and a trip out to the commercial hop-yards of the Pacific Northwest, Deb planted Centennial, Cascade, and Chinook hops for this year’s harvest and strung them up on trellises made from local black locust trees. 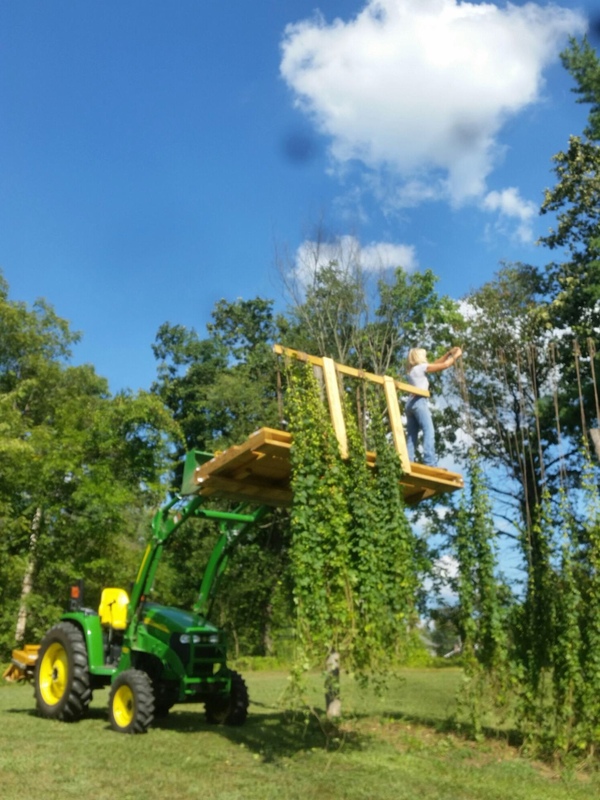 From building the trellises, planting the hops, maintaining the bines, and finally harvesting by hand, the crew at Tilted Barn has put in a lot of work. So thank you! These are young plants so they aren’t producing tons yet, but there’s certainly enough for a special wet-hopped beer to be brewed at 2nd Story! In fact, it’s being brewed right now!